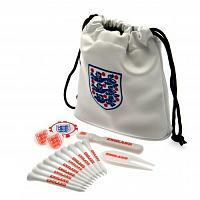 Browse and buy from our range of great official football golf gift sets & football golf bags. Ideal gift ideas for golf players who are also football fans each golf gift set includes 3 golf balls, golf tees and a golf bag tag. The football golf bags are high quality, ultra lightweight and double strapped. Choose from golf gift sets & golf bags including pencil bags & golf stand bags for fans of top Premiership and Championship clubs. Each golf gift set & golf bag also features the official club crest and colours. Order your clubs golf gift set & golf bags today at Official Football Merchandise.com.